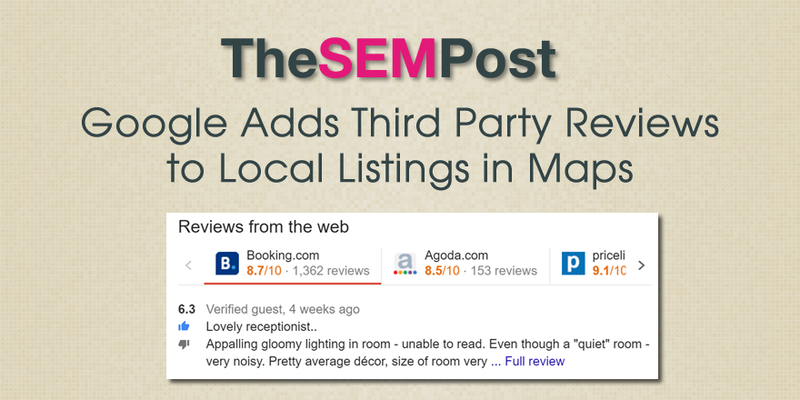 Google is displaying reviews from select third party review sites in their local knowledge panels that appear in the maps results. 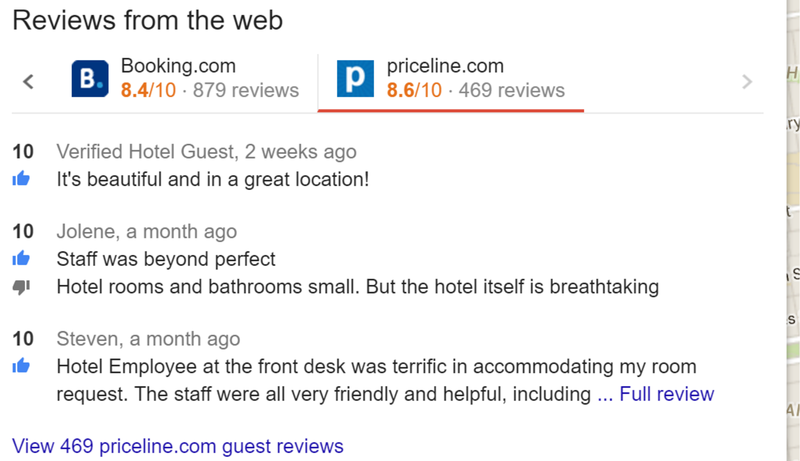 You can slide scroll between the three different sources, although it seems go most commonly be shown with only Priceline and Booking.com. And Booking.com always appears first. These only appear on the local knowledge panel that displays in the map results. 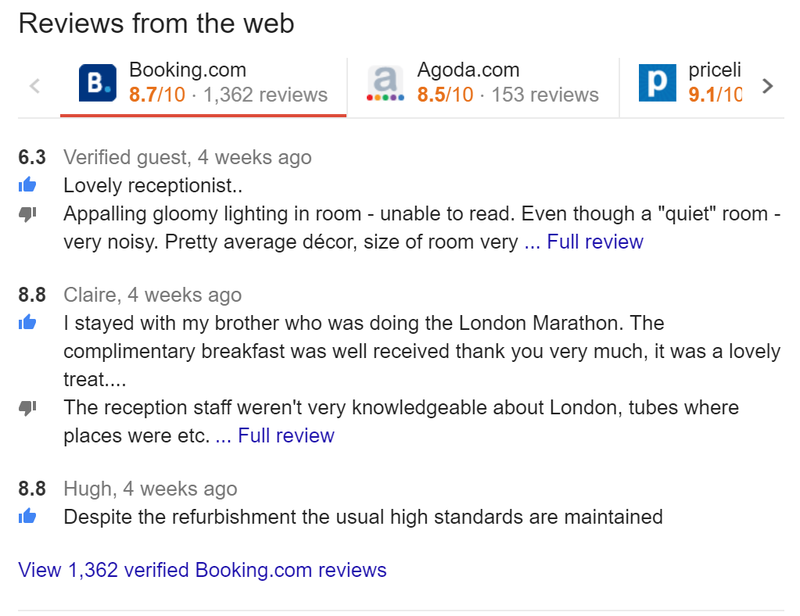 They are not appearing in the organic search results, although this could change in the future. It isn’t clear if this is a test or a rollout, but significant numbers of people are reporting seeing it. Is it only for hotels at the moment? I’ve only seen them in hotels… so far.